Ask any musician who grew up listening to Nirvana, the Breeders or PJ Harvey what studio they'd love to record their debut album in, and chances are it'd be Steve Albini's Electrical Audio. For Bully's Alicia Bognanno, it made the most sense, because that is where she completed her internship. To record her band Bully's debut album, Feels Like, Bognanno, who holds a Bachelor of Science degree in audio engineering from Middle Tennessee State University, chose the Chicago-based space more for its familiarity than its jaw-dropping list of clients. "I had interned there and I knew it was a really comfortable place to make a record," she admits. "I was somewhat familiar with their gear and how they like to do things. It's a really great studio because there's a bedroom in there and a kitchen, so you don't need to leave and you can just focus on making the record." The fact that Feels Like's sound recalls quite a few of the albums that were made at the studio 20 to 30 years prior is no accident. Bognanno is an outspoken lover of classic alt-rock, which is something that rings loud and clear through the album's gruff distortion. And so when it came to recording the album, she chose not to do it with computers. "I just prefer the method of [analog]," she explains. "I didn't want to mix the record on a computer. I don't like staring at a screen. I like being able to commit to it, and not have a million and 12 options. And you can have that many options, but I wanted to make it easier to not have those options. I didn't want it to feel like a digital record. I wanted it to feel live." 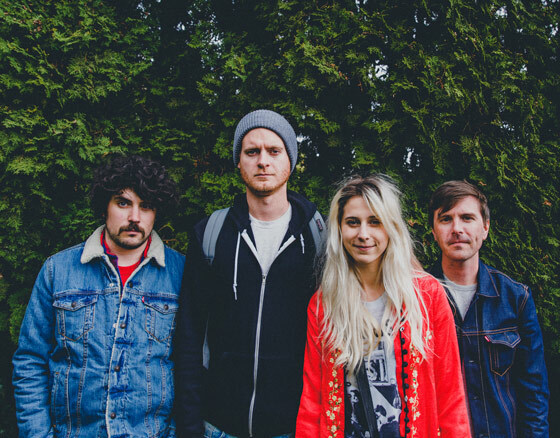 Bully Announce Sophomore LP 'Losing,' Share "Feel the Same"